BOSTON, MA--(Marketwired - February 23, 2017) - In the midst of the podcast renaissance, discovery is still broken. Word of mouth and primitive marketing tactics have been the only recourse for listeners, podcasters and brands. RadioPublic, a new mobile app and listening platform for on-demand radio and podcasts, is on a mission to fix that. With today's launch of RadioPublic's Podcast Playlists, it's easier than ever to discover podcasts that feed your curiosity. RadioPublic Podcast Playlists are made up of hand-picked episodes from different podcasts, curated by tastemakers, producers, and listeners themselves. 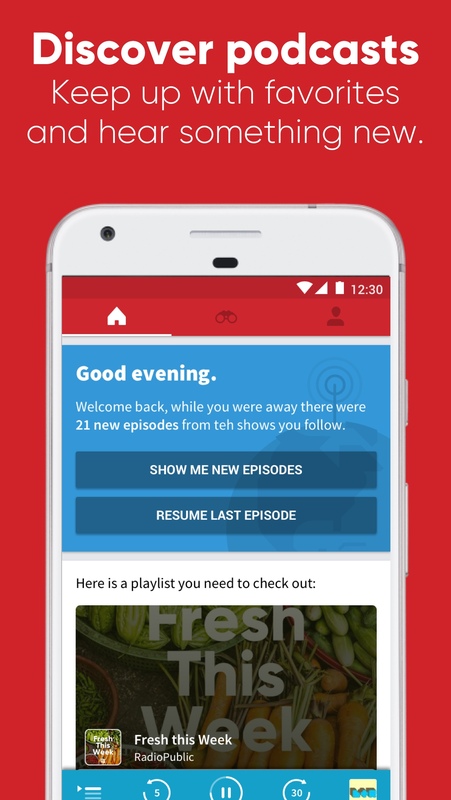 Each playlist is a self-contained feed, shaped by the personal tastes of individual curators, with episodes linking back to shows to encourage easy following. 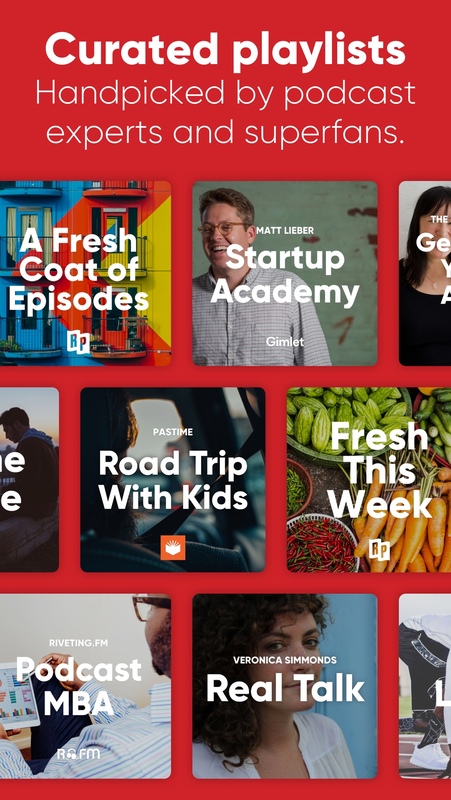 Listeners can also browse episode playlists about topics ranging from parenthood ("It's Complicated") to art ("Look with Your Ears") to business ("Podcast MBA"). Lining up your listening queue for a 30 minute commute? RadioPublic has a Podcast Playlist for that, and other activity-based recommendations too. For the first time you can follow a feed of stories your friends, family, and tastemakers love. "Personal recommendations are still the most effective way to learn about great podcasts," said Jake Shapiro, co-founder and CEO of RadioPublic. 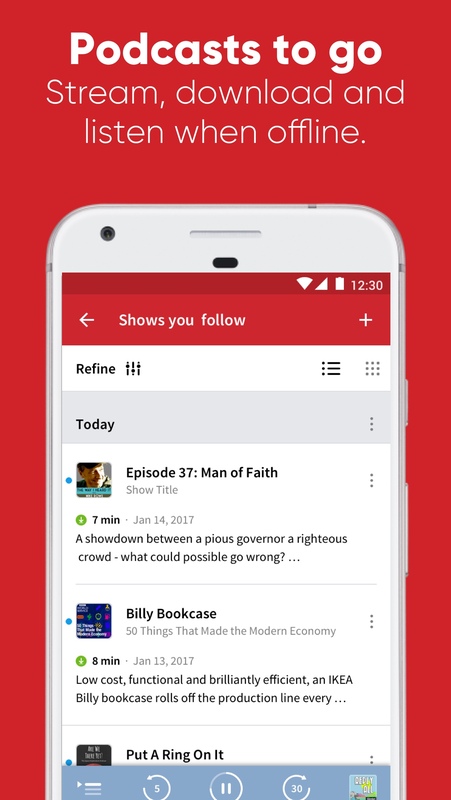 "With the creation of Podcast Playlists we are vastly expanding the surface area for discovery, giving everyone from the best publishers to your best friends the ability to share their favorite episodes." Podcasters, publishers, and brands are also using Podcast Playlists as a powerful tool to curate and recommend content for their audiences, including the New York Times, the Washington Post, American Public Media, Nieman Lab, Huffington Post, Salon, and Freepoint Hotel. RadioPublic is also introducing My Podcast Playlist, a feature (currently in private beta) which gives users the ability to create and share their own Podcast Playlists. My Podcast Playlist opens up curation to listeners to share favorite episodes. Whether you want to assemble a list of essential listening on Trump's first 100 days, or a collection of kid-friendly science stories for road trips, My Podcast Playlist creates a feed others can find and follow. In addition to Podcast Playlists, discovery on RadioPublic is powered by algorithmic recommendations based on listener behavior, and by personalized recommendations from RadioPublic's real-live-human Podcast Librarians. Stay tuned as RadioPublic introduces new features designed to grow the audience for podcasts by making it easy to discover, listen to, and engage with podcasts and their creators. 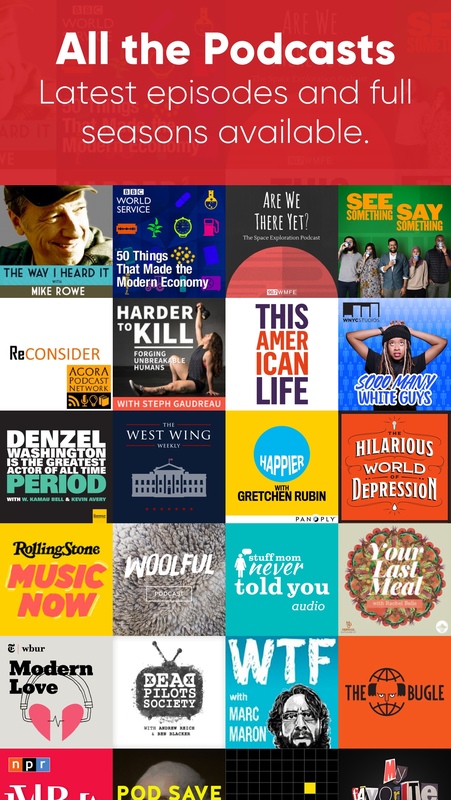 About RadioPublic: RadioPublic is a mobile listening platform for on-demand radio and podcasts founded in partnership with PRX -- the distributor of This American Life, The Moth, and the Radiotopia podcast network. RadioPublic creates a new listening experience, featuring content discovery, exclusive offers, and improved fan engagement. A Public Benefit Corporation (PBC), RadioPublic shares public media's educational, artistic, and journalistic mission. RadioPublic's investors include Project11, The New York Times, Graham Holdings Company, UP2398, Knight Foundation Enterprise Fund, Matter Ventures, American Public Media, McClatchy and Homebrew. RadioPublic is entering the fast growing market for on-demand audio, podcasts, and spoken word content. The audience for podcasts has grown 23% in the last year to over 57 million monthly listeners in the U.S. Learn more at about.radiopublic.com, and @radiopublic.